Born 5 October 1886 in Brentford, Chiswick, the second of four children and only son of Gerald John FitzGerald and Maud Ryan. 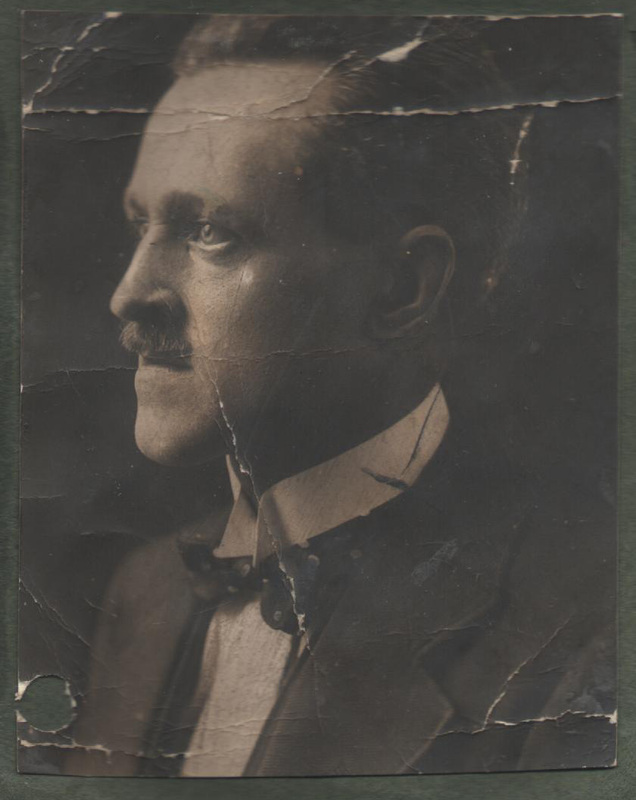 In spite of his father's being the eighth of ten brothers, George Wm Jsph was the eldest male FitzGerald of his generation. His sisters were Mary Marcella (Mamie) born 1885, Geraldine born 1887, and Josephine born 1898. His mother married John Holland after father Gerald John died, and had two more children, Henry (Sonny) and Phoebe Holland. He spent a significant length of time in his early childhood with his paternal grandmother in Dalkey, Ireland. This would have been some time between the ages of four years (after his Grandfather's death in March 1891) and ten years (when his Grandmother died in August 1896). His own father died in Brentford, England, in 1901 when George was fourteen years old. George appears in the Brentford home in both the 1891 and 1901 censuses with the rest of the family. In 1911 he appears aged 24 as an electrician's mate. Later he worked in some capacity in horticulture - both at Kew Gardens where his step-father was one of the bosses, and in the gardens at Buckingham Palace. He said he and a friend in earlier days had wanted to start a garage but couldn't get any family backing - the advice being that motoring would never take off enough to be able to make any money at it. Married Mary Mercedes Evelyn Kennedy, 2nd daughter of James Frederick Kennedy and Emmeline (Quick) Costello, in Wandsworth in 1921. 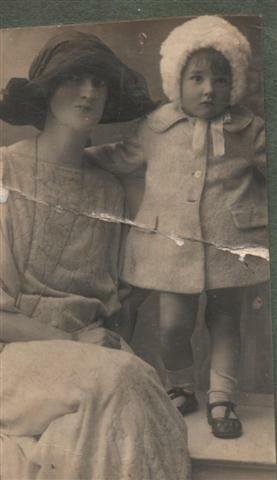 They lived in London all their married life, and had three children : our mother Sheila Emmeline Mary Pamela was the eldest, born in 1921, and she was followed by Moira Julia Madeleine in 1924 and John Gerald in 1932 who died in infancy. George W J died in Wandsworth in 1976 in his ninetieth year and is buried in Streatham cemetary as was his wife who had predeceased him by almost twenty years.